TaxHow has all the forms and eFile solutions that you will ever need for your Kentucky State taxes. If you find any form that is missing for your State, let us know and we will make our best to update them immediately. Form 12A200 may be filed by individuals who were not able to pay the full amount due with their individual income tax return. 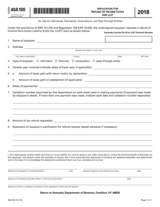 Individuals must specify the monthly amount they can pay, but payments should be as large as possible to avoid interest and penalty charges. 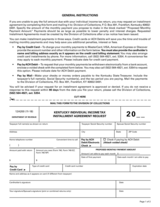 When completed, the Kentucky Form 12A200 must be printed and attached on the front of the return. The Form 40A100 may be completed by all Kentucky individuals and corporations who are requesting for a Kentucky income tax refund. If you are eligible for a tax refund for fiscal year 2013, you must submit a completed Kentucky Form 40A100 to the Kentucky Department of Revenue at Frankfort, KY 40618-0006. Form 4972-K must be filed only by participants born before January 2, 1936; if you are born after January 2, 1936, you must not complete this form. 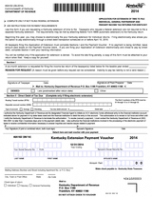 Kentucky Form 4972-K must be attached and mailed to Form 740-NP, Form 740 or Form 741. Please keep in mind that you might need to file additional tax forms together with Form 4972-K such as Schedule P and Form 1099-R. 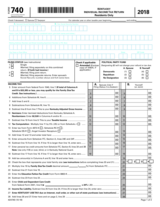 The Kentucky 740 Booklet is required for all Kentucky residents, regardless of work location, to file a Kentucky income tax return. 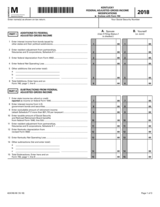 This packet contains both Form 740, the longer form used to file Kentucky tax returns, and 740EZ, the shorter form used to file Kentucky tax returns. 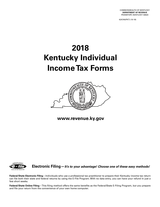 If you are a Kentucky resident, regardless of work location, you need the 740 Booklet to complete your Kentucky return. 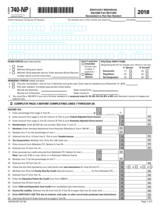 Kentucky form 740 is designed for state residents to report their annual income. The form features space to include your income, marital status as well as space to report any children or dependents you may have. By filling out the form, you will see whether or not you owe money to the state or if you will receive a refund. Form 740-NP-R is used by all qualifying full-year Kentucky non-residents to request a refund of Kentucky income taxes. 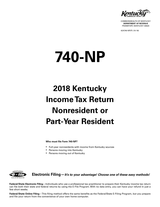 In order to get a refund, you will need to fill out the Kentucky Form 740-NP-R and mail it to the Kentucky Department of Revenue, Frankfort, KY 40618-0006. Schedule M (740) must be filed by corporations to report their Kentucky adjusted gross income. Please keep in mind that you will need to complete Kentucky Form 740 first in order to be able to complete Schedule M (740). 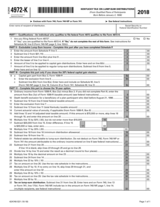 Form 740EZ is the short form used by Kentucky residents and part-year residents. Form 740EZ has requirements that taxpayers must meet in order to use it to file their Kentucky return, unlike with Form 740. 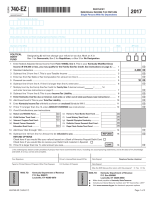 If you do not meet the requirements to file with Form 740EZ you will need to use Form 740 to file your return. 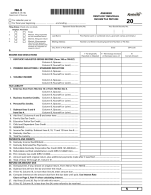 To see the requirements needed to file your return with Form 740EZ see the Form 740EZ Instructions. 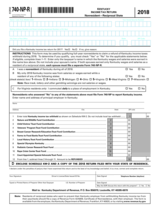 The 40A102 form is used by Kentucky taxpayers to request a filing extension for their state income tax returns. Successfully filing the 40A102 automatically allows Kentucky taxpayers a six month extension to file their 740 state income tax returns. Here are the mailing addresses available for Kentucky. Please note that some specific forms might have a different addresses. Please check the Form's instructions before using any addresses listed here.